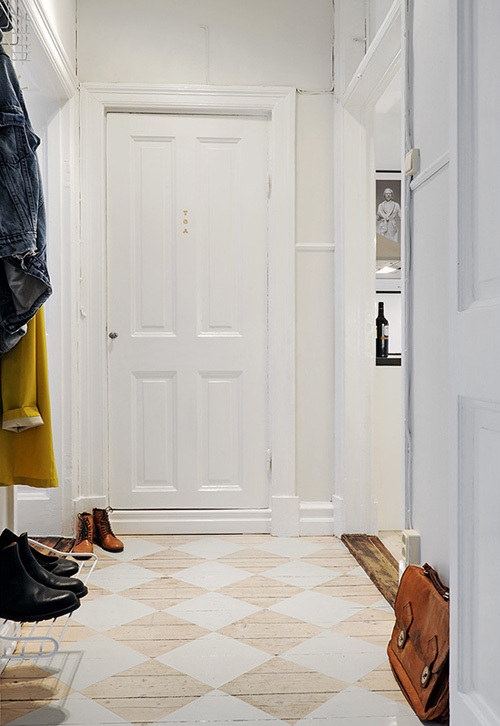 Today I’m loving … this beautiful hallway with painted wooden floor. 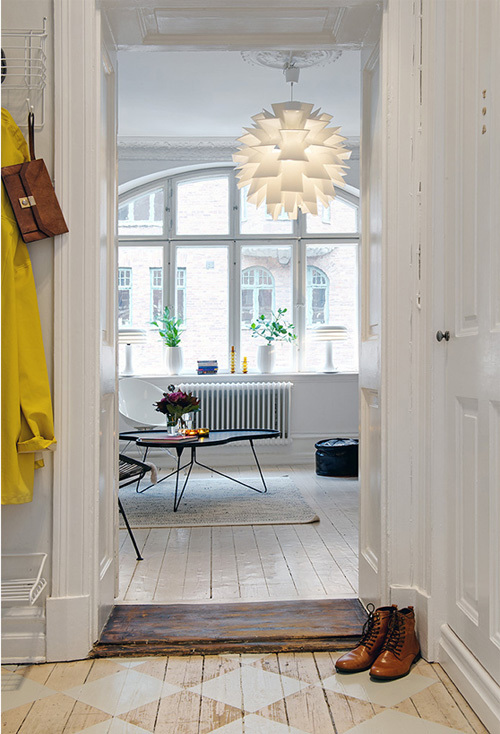 The pendant in the living room is from Normann Copenhagen. I don’t comment often, but I really love it here. Thanks for always being inspiring, Danielle. Oh, the diamond pattern on the rustic floors… amazing!